Looking for a gift for your friend? You cannot find better place! Pizza Socks Box Slice is one pair of extraordinary socks packed like a real pizza! Surprise your friends with a unique gift! All our socks are produced in Europe. A whole pizza is too much for you? 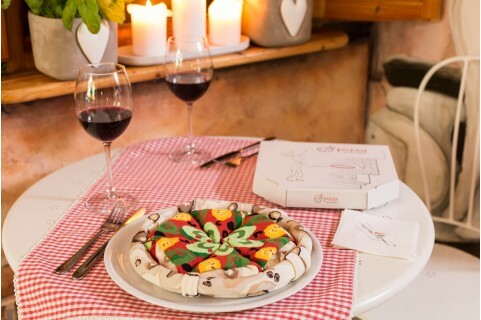 We thought about that and created Pizza Socks Box Slice! Pizza Socks Box Slice is one pair of your favourite socks packed like a real pizza! Surprise your friends with a unique gift! There are as many as five pizza designs available: Italian, Hawaiian, Pepperoni, Capricciosa, and Vegetarian - each of them is a fantastic mix of vibrant colours that won't allow anyone to pass you without a smile! 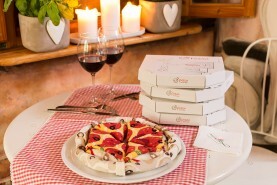 Get a gift for your friends and surprise them with the contents of the pizza box! Pizza socks are not only a funny but also a practical gift bringing joy that stays with you long after you've opened the box. These cotton socks are soft, extremely comfortable, and are an ideal protection from cold or overheating. 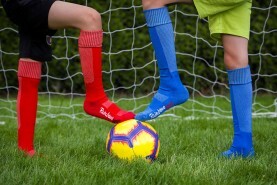 Owing to good quality confirmed by Oeko-Tex certificate, the gift recipient will be able to enjoy the socks for a long time, whereas you can be sure that your friend won't forget about the gift that easily! If one slice is not enough for you, you definitely should check out our Pizza Socks Box containing four pairs. 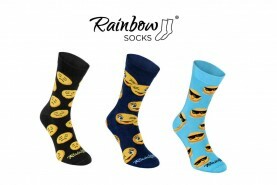 Socks are available in sizes: S (36-40) and L (41-46). Dimensions of the box: 12,5x13x12,5.